For more on what OrangeGlad does to trigger deep pleasure points of anyone who finds one of their boxes at their door or desk, see my previous post here. 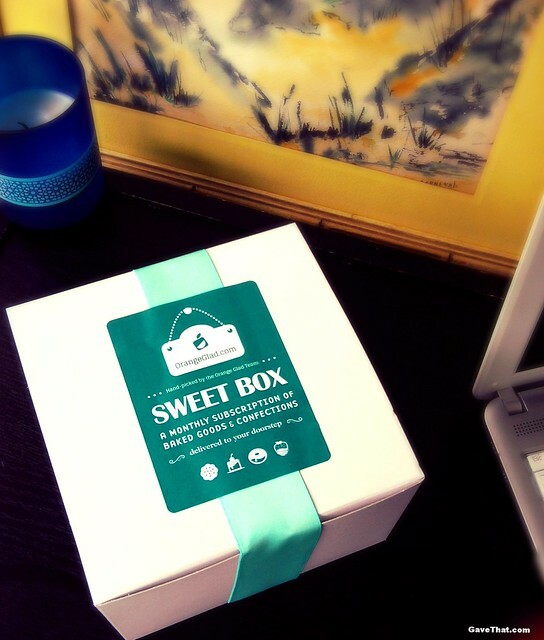 Each month the lovely folks at the OrangeGlad headquarters curates a tasting box of sweet gourmet treats and sends them off to lucky recipients, one of which you too can be. They also set up a pop-up shop online to order more of anything you've fallen in love with. I've come to love them as a service for delectable favors and care packages. This month's offerings were simply over the top good, coming wrapped in polka dotted paper bags, butchers twine and generous amounts leaving plenty to share. This time there was 3 of us happily nibbling on what tasted like fresh out of the oven goodness. One of the biggest hits that was immediately devoured was this huge, dense slice of chocolate Babka from NYC's Lily's Bakery Shop. We all agreed this was one of the best Babka's we've ever had, even beating out the gigantic ones made with raisins by local nuns. Sorry Sisters! 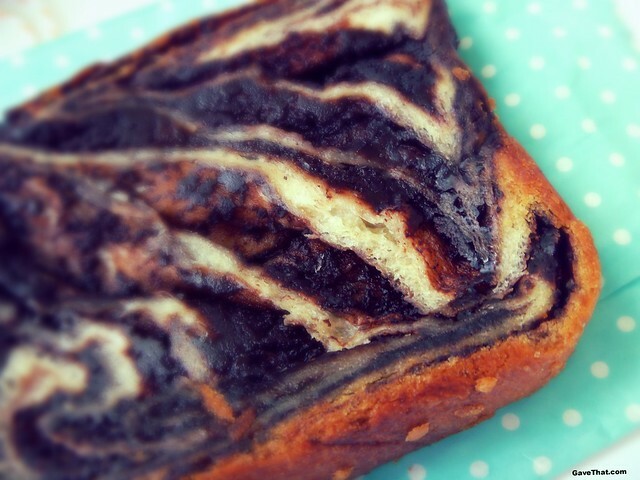 For anyone who's never took a bite of Babka the way I've always described its texture, when chocolate is present the way it is in Lily's, is something between a fudge brownie and a buttery crescent roll. They mention coffee cake mixed with Panettones which is also a good description. The chocolate was perfectly swirled, thick and rich, the Babka bread buttery fresh. Babka's are involved so this is a lovely bit of old world decadence. Lily's was in last months box with their amazing Hamantashen pasteries so I'm so happy to see a kosher Brooklyn bakery representing again! Something else to debut in this months offerings is an official dessert created by OrangeGlad themselves. Dubbed an Ice-Dream Sandwich OrangeGlad's creation is a simple looking butter sugar sandwich cookie. The result was melt in your mouth airy and something very akin in taste to those delicious Danish butter cookies in the round blue tins. Only the sugar is in the inside of these. Hopefully OrangeGlad will keep this up. They know dessert. 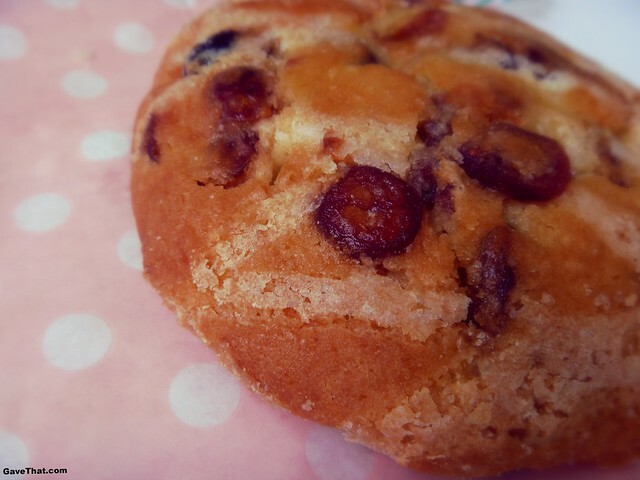 Next is a massive muffin top in cranberry lemon by Seattle's Favorite Gourmet Cookies and Desert Co. This thing is heavy and loaded with plump red cranberries and bright lemony flavor. 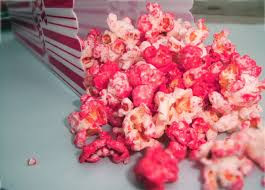 Flavor, ton's of it and a really soft texture that is lovely. These remind me a lot of the cranberry scones I love to make and have shared a few times here on the blog. Only these muffin tops really do have a more cake like feel and a drizzling of light icing on top for a hint of sweetness. This was definitely another crowed pleasure. A toss up really with the Babka. Then came a hazelnut cheesecake brownie by Chocolate Maven out of Santa Fe, New Mexico. These dense brownies are fudgy in the middle and crumbly on the outside with a layer of cheesecake embedded with hazelnuts on the top. The chocolate they used is really superb, almost boozy liquor like and they're really moist. Lastly is some patriotic freedom star sugar cookies for this months red, white and blue theme from Gianna's Homemade Baked Goods in California. Despite being covered in a thick layer of crunchy sugar granules, Gianna's did a nice job keeping the cookies from being too sweet. They actually have a very mild spiced flavor to them, something unique from most decorated sugar cookies I've eaten. 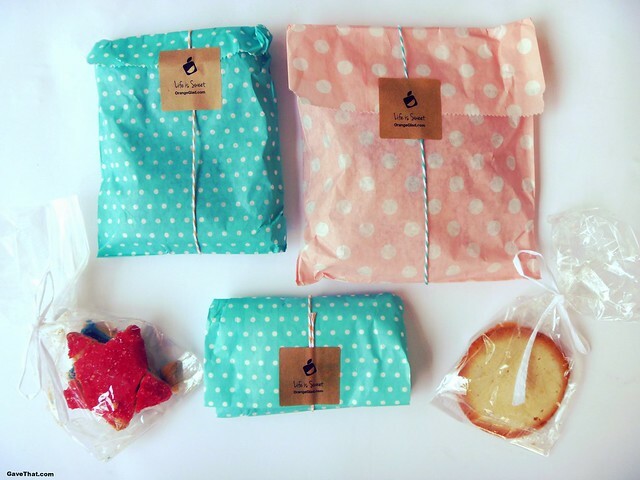 As always, everything above can be found for order at OrangeGlad's online gift shop and you can sign up to receive or gift a sweets box subscription there too. Sweets box c/o OrageGlad, this was a really good day!